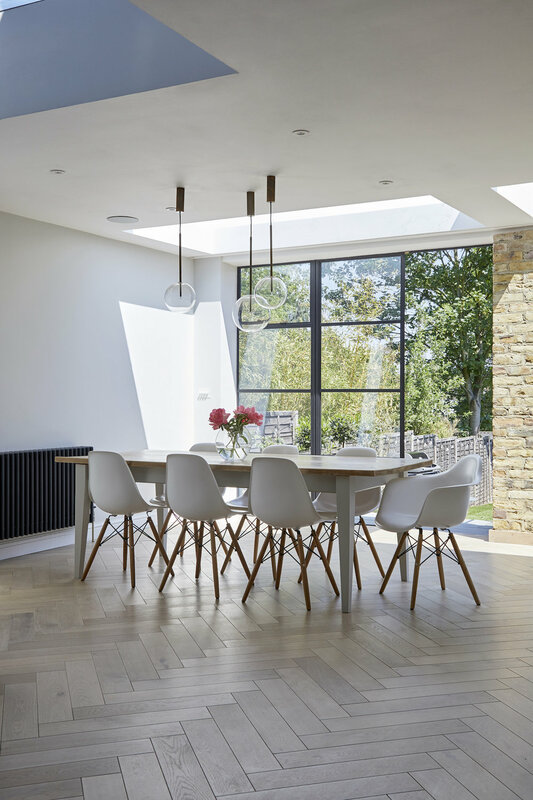 What started off as a consultation to convert a garage into a garden retreat (inspired by this London summerhouse), ended up becoming part of a much larger, ground floor rear extension project. 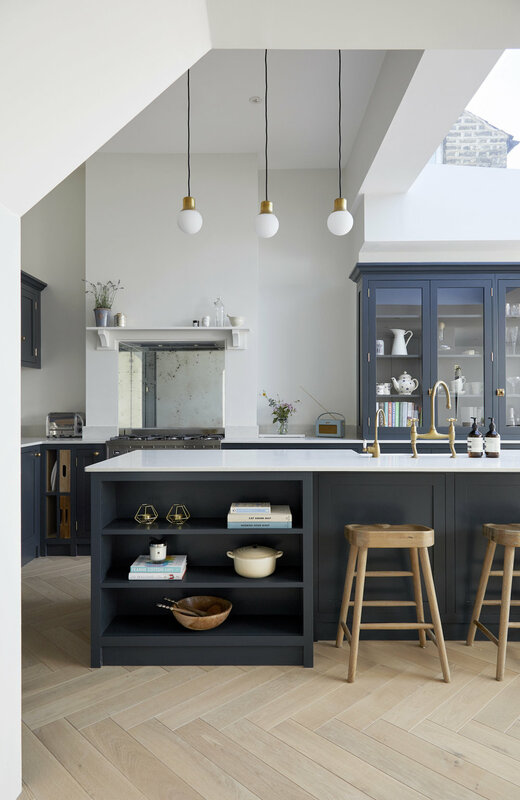 This already very beautiful double fronted Victorian Corbett house in Charlton, South East London was home to an expanding family who wanted to create a more family friendly space, incorporating an existing small and awkward kitchen and a children's play room. The new space was to provide a large kitchen and dining area, a seating and tv area and a downstairs shower room and utility. 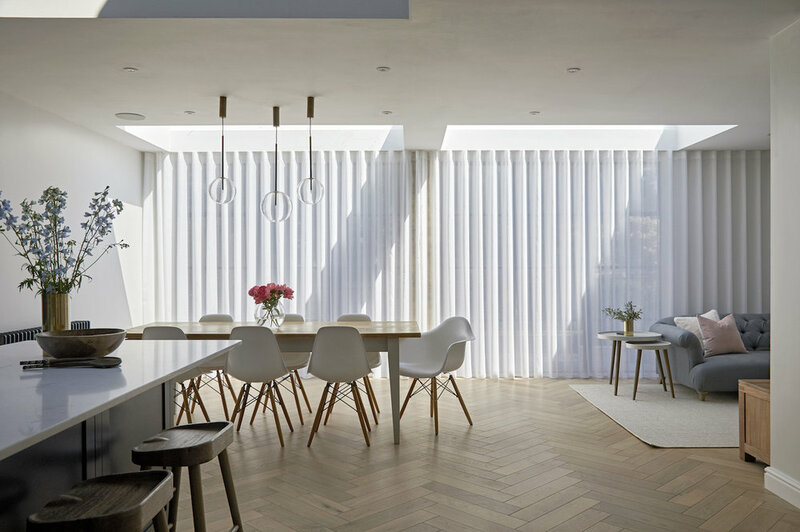 From the oak herringbone flooring throughout to the bespoke kitchen and the breathtaking steel doors, it's a beautiful space that's filled with natural light beaming through the large roof lights. It's a fresh, open space that's perfect for their expanded family life.